Earlier this week, Warner Bros. Movie World finally announced their long awaited hypercoaster, the “DC Rivals Hypercoaster,” and with it, the park finally stole the title of thrill capital of the country from neighbouring competitor, Dreamworld. Movie World finally has both the quantity, and just as importantly, quality, to rival almost anything and everything in Dreamworld’s arsenal. A sign Dreamworld hopes people will take very literally when DC Rivals opens. 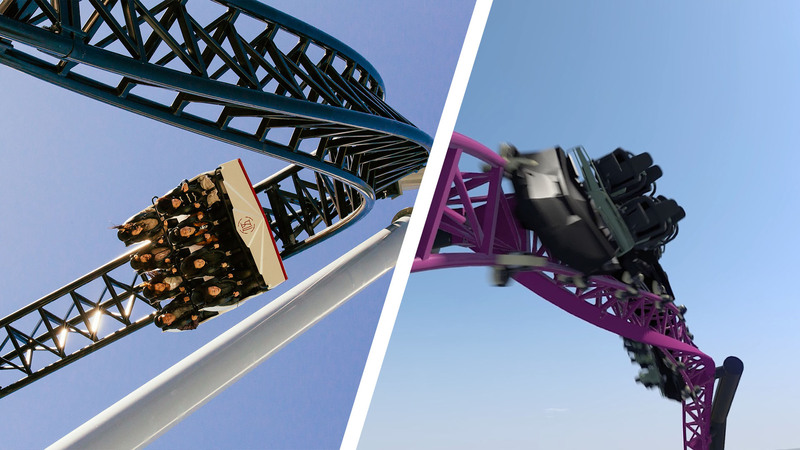 The freshly announced hypercoaster won’t just be one-upping Dreamworld, it’ll be setting a whole new precedent in thrill rides, competing with the very best roller-coasters in the entire world. It’ll be out of control, intense and feature elements that places it unquestionably in the top 10 coasters globally come launch day. With all that said, where does this leave the former thrill ride champion, Dreamworld? The first question one should ask is, does Dreamworld even need big thrill rides? The park’s latest ad campaign and recent comments from its CEO certainly suggest it doesn’t think that’s the case. However, even in the case of Dreamworld’s own history, the park’s iconic attraction, the Wipeout, once known as the park’s signature thrill ride, saved Dreamworld from certain bankrupcy in the early 90’s. When the park was finally out of fiscal trouble, it solidified its foothold against both Movie World & Sea World later that decade with what was, at the time, the tallest, fastest ride in the world, the Tower of Terror. Like what Rivals will do for Movie World in a few months, Tower of Terror turned Dreamworld into an iconic global brand, and captured the attention, fear and delight of millions both locally and abroad. Thrill rides are incredibly vital to a park’s success. Without Wipeout, Dreamworld wouldn’t exist today. Being a well rounded theme park is important, skipping out on family friendly areas, entertainment and total immersion is not the message here. Even something as overlooked as height minimums for some attractions can ruin a family’s day, and will direct consumer choice to go to one park over the other. Instead, acknowledging what the market wants and delivering on it is key, and the market will always want big ticket thrills, guaranteed. Adding to this, for a park owner or operator, nothing delivers better return on investment or engagement online than a giant thrill ride. Even in my own travels, thrill ride content delivers a ten fold increase on audience versus non-ride related content here at OurWorlds. Thrill rides cost a lot of money, but when done right, deliver enormous sums of goodwill, free publicity and of course, joy over many decades. Just look at Dreamworld’s Giant Drop, it’s nearly two decades on and it’s still the poster child and most of the park’s advertising. Having the best thrill rides and attractions and then complimenting them the best shows & experiences is what brings people through the doors, period. So what can Dreamworld do? 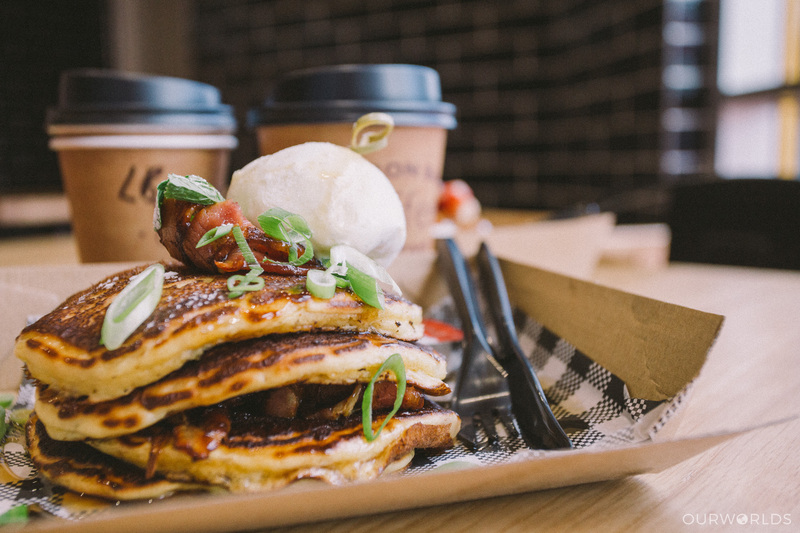 At this stage, Dreamworld owners Ardent Leisure have three options, and they’re not at all complicated. It basically plays out like this: Ardent can hide, fight fire with fire or Frank Underwood the situation. Option 1: Hide & bury their heads in the sand. This is definitely the most riskiest move out of three. Doubling-down and opting out of the thrill race might seem like a frugal and intelligent response if you don’t have the money (at this stage, Ardent doesn’t appear to have or want to spend the same money as Village to go toe to toe) but in the past this has all but spelled an imminent demise for parks. Even looking to our own Wonderland Sydney, the park’s last owners ultimately chose not to spend big bucks on staying competitive on a national level, and by the time the park was closed and sold for its land value, many rides, like Dreamworld at present (Eureka, Chairlift, Model T Ford Cars, Log Flume & the Steam Train, to name a few), were left standing but closed while the park continued to operate in its last days. Once Ardent sees the unrivalled success from Movie World’s Rival Hypercoaster, Dreamworld’s owners and operators could go completely bonkers, which would be a win for us all and would mean we’d all have two globally iconic rides a short few minute drive from each other. But buying the same thing and putting it in your own backyard wouldn’t exactly be original or deliver a great return on investment when someone else has beaten you to the punch, so what else is out there for the same kind of money? One company, known as Rocky Mountain Construction, is taking the theme park world by storm, and has become famous for taking old, rough rides, tearing them apart, redesigning the track and turning them into top ten monsters. In recent years, they’ve also branched out into making behemoths from scratch, and in terms of sheer thrills, it’s the only thing on the market that could realistically one up a hypercoaster that you could bank on. Insane is an understatement too, they look like something that shouldn’t exist, something that defies gravity and physics and yet, from all accounts, have netted parks like Six Flags huge results and have earned huge praise from guests & enthusiasts alike. Option 3: Frank Underwood Movie World. If I were in the CEO’s shoes right now, i’d dare say i’ve got a bit of money to play ball with, but just not as much as Village right now. So what do I do? To be blunt, i’d be pushing two buttons, and pushing them hard. Nostalgia & innovation, in my mind, is where Dreamworld needs to be to at least match Movie World’s offerings without spending nearly as much money. This is simple. 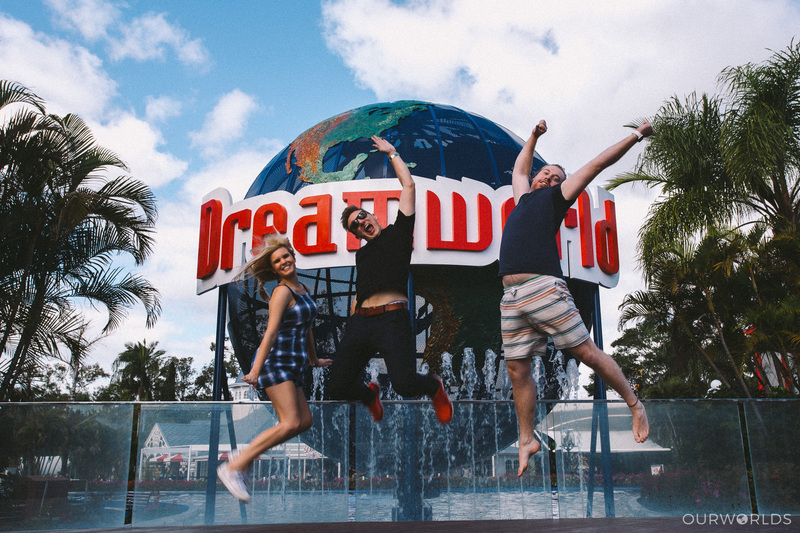 One of Dreamworld’s biggest strengths is the nostalgia and the culture that’s wrapped around it. Dreamworld isn’t a theme park, it’s an iconic Australian powerhouse, one that people are far more loyal to compared to Movie World. You only have to look at the last seven months to see that loyalty in action. The recipe then is simple, give people what they want, give them a chance to relive nostalgia and good memories, and do it well. Now, before you go down the “oh but no one cares about X&Y thing at Dreamworld anymore” route, spare me, because the world’s largest operator of theme parks has rides from the 50’s people still give a crap about. I’m talking about Disney of course, and their guest’s loyalty stems from the fact that Disney is relentless in ensuring they can do everything to better their attractions and ensure every facet of the experience is unforgettable. Who doesn’t remember the Bush Ranger show? Bring it back. Remember the smell of the steam train? Bring it back. Remember the quartet? Bring it back. Log Ride, Mine Ride, Model T Ford Cars, bring it back, and do it well. But also don’t stop there, make sure every facet of your park is being done well. I walk through the Tower of Terror & Giant Drop queue lines and wonder if anyone’s paying attention. They’re so horrible that I think a walk down a dreary hospital corridor would at least be cleaner and more maintained. No one’s asking you to be Disney, but they are asking you to look after what you have and keep at it, every single day. You could knock the wind out of Movie World’s sails tomorrow with two rides and half the money. Here’s how. Hypercoasters are incredible, but almost all of them, including DC Rivals, lack one thing, inversions. Dreamworld could easily build what’s known as a Gerstlauer Eurofighter (like Abyss at Adventure World) for a fraction of the cost, build it with seven elements that go upside down, and there you have it; Movie World might have the tallest and fastest, but if Dreamworld built an inverting, launched Eurofighter, they could have the country’s fastest ride that goes upside down more then anything else in Australia. And if you theme it well, you might just be able to put enough pressure on the HyperCoaster to hold it at bay. The second ride you’d build is a Soarin’ style attraction. Disney pioneered it, they’re popping up all over the world thanks to companies like Brogent Technologies, and Dreamworld is perfectly positioned to build one for the cheap. How? Well, Dreamworld once upon a time had an IMAX theatre with near vertical seating, and as a result, have more than enough clearance to nearly literally just “plonk” a soarin’ style ride system right into the existing structure with minimal fuss. Given that most folk’s biggest wish list is for Movie World to return the Police Academy and the Mavericks show, a Soarin’ ride would deliver a show quality experience, at high capacity, and mix it in with something the country’s never seen before. And this is by no means an original idea, it was hotly rumoured that Movie World were considering a similar move around a decade ago, but opted out due to costs, something that has changed considerably. I’d hope Dreamworld doesn’t bury its head in the sand. Now over seven months after the accident, the park should be doing all it can to be removing the giant red tin walls that line areas like the Log Flume and doing all they can to reconnect people with the Dreamworld they loved the most. Hollywood get how lucrative nostalgia is, now it’s time for theme parks to do the same. In a leaked memo a few weeks back, it was all but confirmed that the park was going to do exactly that and start the process to re-open the Log Ride, Vintage Car ride (also still closed, just FYI) and the Eureka Mine Ride (also still closed, albeit for a very, very long time). This is where they need to start, because for all the love Movie World will get with DC Rivals Hypercoaster, Dreamworld’s relationship with Australia is far more deeply rooted and solidified, and tapping into that is the key to not only getting back to where the park should be in terms of quality and finish, but will also give them a foot hold against Movie World to build, as they termed internally, better not bigger. But beyond tapping just nostalgia, the park should still compete on being a warmer, friendlier, and better overall experience than anywhere on the Gold Coast, and find new and exciting ways to be innovative and most importantly, in the game, for us, for its staff, and I suppose the shareholders too. Just as an aside, Dreamworld, if you take option 3, look, you’re welcome, but cut me a check before you do it, yeah? Cheers. Good read Ben and couldn’t agree more with the things you’ve written.